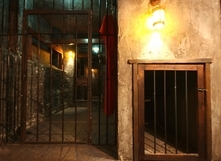 The Chinese Torture is a lantern lit chamber resembling an authentic torture room. Each piece has been hand carved by a master craftsmen, whose painstaking attention was riveted upon realizing the authenticity of these reproductions. 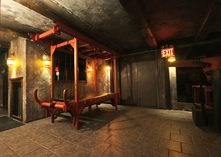 A jail cell, Queens Throne and various suspensions gives this room a very eerie feel to it.